Vizio aims to disrupt the crowded budget PC market, but can it? Aiming to get out ahead of the the news crush that is the Consumer Electronics Show, Vizio on Saturday made the rounds of the major news outlets hawking its latest line of products: computers. While the company all but created the budget market when it comes to HDTVs -- building a considerable amount of positive brand equity as a result -- the PC business is much different. Vizio will debut two desktops and three notebook computers at CES. While an official announcement has yet to appear, we do know that the desktops will come in 24- and 27-inch sizes, with the PC components tucked behind the display in an all-in-one design that looks quite similar to Apple's iMac desktops. 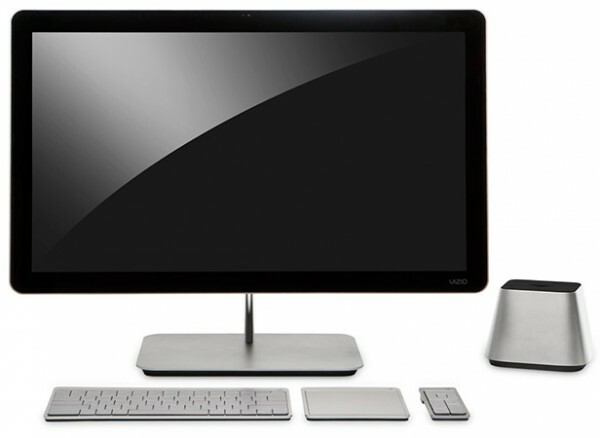 A wireless keyboard and mouse are included with the package, along with a subwoofer and remote control. 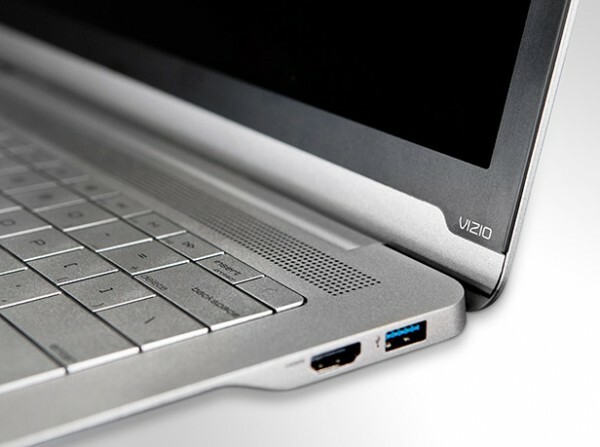 While on the subject of Apple one has to wonder if Vizio's design will catch the attention of lawyers in Cupertino. Apple has shown a propensity to sue when its competitors release products that look similar to its own, and Vizio's new desktops fit that bill. Look at the pictures, I'm sure you can see the similarities. It's pretty stunning. Simply, the desktops look like iMac, and the laptops like MacBook Air. Even down to the aluminum unibody casing. Somebody's not going to be happy. Anyway, I do digress. The notebooks will come in two sizes, 14 and 15.6 inches. Described by Vizio chief technology officer Matt McRae in press interviews as "thin and light", these two models appear targeted for the average consumer while an additional 15.6-inch model is aimed at those looking for additional performance. Vizio will give these PCs the capability to send media to Vizio speakers and televisions, it says. Software to make this a reality is currently under development and will probably ship around the time of launch. Pricing has not been disclosed, although McRae tells Bloomberg it will be at "a price that just doesn’t seem possible", whatever that means. The PCs go on sale in June. While budget PCs may seem like a natural progression for Vizio considering its moves into other electronics sectors -- including tablets -- the industry is completely different than HDTVs. Vizio has built its brand around value, and much of its share in the market (now competing with market-leading Samsung for the top spot) is due to that strategy. The PC market is not the HDTV market. First off, budget PCs have been around for much of this decade, with already established players. Second, the market is already crowded. Why do you think HP flirted with ditching its own PC business? Finally, the sheer competitiveness of this industry has driven down margins quite a bit which makes profiting a difficult proposition. In other words, Vizio coming in and accelerating the race to the bottom may end up hurting everybody in the end, including itself. There is only so low you can go before a market no longer is viable. We'll see how well Vizio's newest product line is received, and we will report more from the floor of CES next week.